Jewish Penicillin! Although not a cure for the common cold, chicken soup is certainly a way to ease the symptoms and make you feel better quicker. There are many recipes for chicken soup, but this one is foolproof and makes a beautiful and flavorful chicken broth. This broth is so delicious that you can drink it like a consommé. This recipe makes quite a bit of wonderful chicken soup, which I recommend freezing, because you never know when you’ll need it. Place the chickens, onions, carrots, celery, parsnips, parsley, thyme and seasonings in a 12- to 16-quart stockpot. Add 6 quarts of cold water and bring to a boil. Simmer, (try not to boil at all) uncovered, for 2 hours. Skim the foam off the top of the stock as it cooks. Remove the chicken and carrots from the pot. Strain the remaining contents of the pot through a colander. Once the stock is refrigerated, you can remove the surface fat. At this point you can pack it in containers and freeze it. I treat this stock like liquid gold, you can use it for so many dishes. I store it in quart size containers, label it and freeze it. Chicken stock can be frozen for up to 6 months. 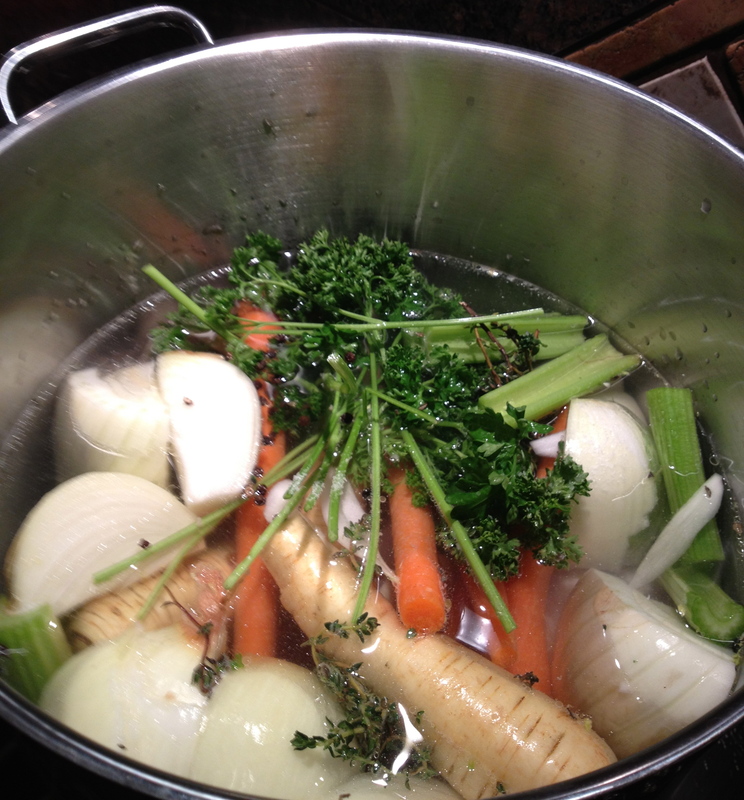 To serve the soup: Return the stock to the pot once you’ve strained it. Once cooled, shred the chicken meat into pieces and add back to the stock. Slice the cooked carrots and add to the stock as well. Simmer over low heat for 5 minutes to re-heat the vegetables and the chicken. Season to taste. This looks fantastic! I have always wanted to make chicken soup but never have because I just didn’t have a good recipe. Now I do! Thank you. We have enjoyed your soup and stock many times ! Delicious !